Articles Speakers CornerAre you an under-roller or an over-roller? Are you an under-roller or an over-roller? Although the choice is largely a matter of personal preference, there is a documented correct way to place toilet paper onto the holder — which is in the “over” position. 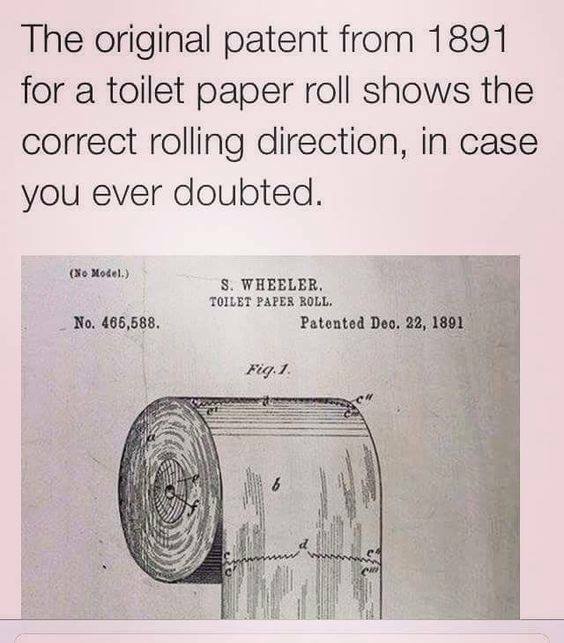 Seriously — the 1891 patent for the toilet paper roll states that the end of the roll should be hanging off the exterior. While many people consider this topic unimportant, some hold strong opinions on the matter. Defenders of either position cite advantages ranging from aesthetics, hospitality, and cleanliness to paper conservation, the ease of detaching individual squares, and whether or not they own a cat. Over reduces the risk of accidentally brushing the wall or cabinet with one’s knuckles, potentially transferring grime and germs. Over makes it easier to visually locate and to grasp the loose end. Over gives hotels, cruise ships, office buildings, public places and homeowners with guest bathrooms the option to fold over the last sheet to show that the room has been cleaned. Over is generally the intended direction of viewing for the manufacturer’s branding, so patterned toilet paper looks better this way. Under provides a tidier appearance, in that the loose end can be more hidden from view. Under reduces the risk that a toddler or a house pet, such as a dog or cat, will completely unroll the toilet paper when batting at the roll. In a Toilet Paper Personality Test, 2000 people were surveyed on which way they roll their toilet paper, to determine how assertive they are in their relationships. The results revealed that those “who roll over are more dominant than those who roll under,”. Under-rollers are the opposite, being a member of the more submissive and laid-back niche. 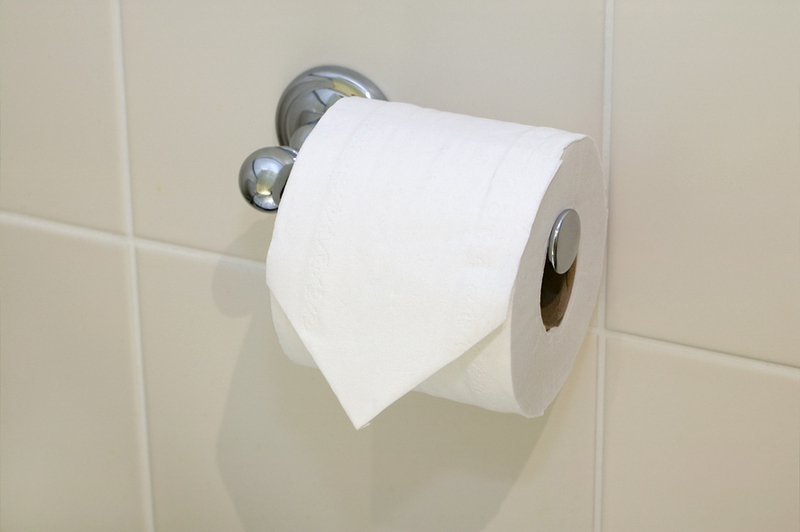 The study also found that some over-the-roll-people feel so strongly about the orientation of their toilet paper, that they actually admitted to flipping the roll over if they come across a stray under-roll at someone’s house. So what are your views? Is this something that you have ever considered? Are you obsessed with how your toilet paper hangs? Or do you just wish someone else would change the empty roll? I have just discovered a loo roll which has a square centre, it is supposed to save paper, no free flowing action, over or under of the round centre. I suppose small pieces break off, I don't like the idea! You have the scrunchers and the folders, I am a folder so need a long unbroken piece. What next will people do to save money? As I appear to be the only one in our family that fits a fresh roll☺️ I am absolutely an over roller....makes it so much easier to tear off the right amount of sheets for the job! I'm afraid it just doesn't seem the right way to pull from underneath the roll have always been an over roller. I'm definitely an over-roller and have been known to turn the roll over if it's the "wrong" way round when out and about. Used to be an under roller but have been converted to an over roller.....interesting topic!! What interesting post, I to was brought up in a Norfolk village and can relate to the squares or oblongs of news paper. As they used to say ln Norfolk, done all my larnin in the privy wi the pearpers we wunt ta reeed indors. But no one has mentioned the side benefits of those oranges at christmes, what a tussle for the wrappers. Excellent website my first night of browsing it. Well, having been caught a couple of times I check the status of the toilet roll before doing anything else. Yes, I do change it when the cardboard tube unveils itself because... I might be the next one in there!! I first came across the folding of the corners in an over-roller position in Austria during the late 80's. I loved it and followed the tradition ever since. Love the article and comments. Amazing how the humble toilet paper can inspire such thought-provoking discussions! At the risk of generalising and getting called sexist, it is my experience that girls will normally have it going down the back because it looks neater, whilst guys will have it coming over the top because it's more efficient. At the risk of generalising and getting called sexist, it is my experience that men are in the main incapable of filling a toilet roll holder whether over or under. Shouting for a toilet roll because they haven't noticed it is empty is common. Now a man in touch with his feminine side may pay this conundrum a lot of attention. Now, I wouldn't say I'm in touch with my feminine side, but the status of the toilet roll is examined closely before anything else. Maxim - don't get caught with your pants down! You are indeed one of a rare breed Lionel, proactive. I have a stash of fluffy rolls close to hand in a secret cupboard. Always ready for the Apocalypse or the onset of curry aftermath. As I do also have a stash; onset of the apocalyse might bring on the need for massive quantities of toilet roll and at that time one would not care too much whether it was under or over, just glad it is there. Got caught out in Czech many years ago. Just outside Brno on a dual carriageway, a now Services had been built. Needing a Privvy went in. Now, they had installed the lastest consumer friendly technology, quite unnecessary in my opinion, but it was there. Having partially disrobed, stepped towards the porcelain and the toilet seat slammed down. That increased urgency. Stepped back and the seat rose to a resting position. Repeated the exercise in disbelief at just how far technology had come, and the personal area it had invaded. Must be a Windows software running this device. Same thing, slammed shut when approaching it. OK, time for military tactics. I'll rush the beggar, over power it, open it's jaws ... but sadly, too much force. Broke the pan. Hobbled to the next cubicle and everything was fine. Such was the relief I neglected to inspect the toilet roll supplies. Of course, there were none! It's nothing to do with the feminine side, just sheer necessity. 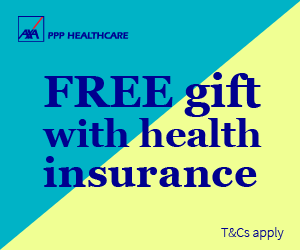 Don't get caught out twice! I am crying with laughter Lionel, the mental image of you trying to outwit a sulking toilet seat with a tendency to obfuscate any attempt on your part to porcelain perch, should be made into a comedy sketch. Ever thought of a new career in comedy? Very true, hooligans I call them, scant regard for the finer things in life, no thought at all, now consigned to the unfriended barren world of shouting for help. I once knew a surgeon like that. The thought of him performing surgery in this forgetful hooligan frame of mind chills me to the bone. I find that the over toilet roll will unroll too quickly when pulled, hence I use the under roll. I find it is the male that does not replace the toilet roll. from an engineering point of view under is better because you can lift the paper as you unwind, lessening the load necessary to unwind if there is the slightest friction this prevents breakage. You failed to mention that for some, sitting on the loo is a sort of meditative pastime, therefore, the pulling of the loo roll in gentle Zen mode very rarely results in broken sheets whichever way you hang it. Scientists should take this matter seriously and undertake experimentation on personality flaws and the loo roll. Do angry people pull harder resulting in masses of broken sheets? Perhaps toilet seats with built in calming dolphin sounds could alleviate aggressive tendencies resulting in smooth paper unravelling? Definitely OVER and whilst i wouldnt change the roll in a friend or family'sa house I do do it elsewhere!!! Stayed in Paris in the early seventies, in a run down establishment which, it transpired, was also used by some of Monmartre's ladies of the night for business purposes. The travel agent hadn't mentioned this! The sanitary arrangements were, well, anything but! One privvy on each floor; two buckets covered by a clearly well used wooden plank with two holes in it. Yes, that convenience was to be shared! That explained the lack of a bolt on the door. Being brought up by Victorian grand parents in my early years I didn't know where to look! A small mirror on the door made matters worse. It was deeply embarrassing but, at the same time, a very interesting few minutes. She chatted in French and I replied in Franglais. It is unlikely we understood each other yet at this primaevel level of contact it didn't seem to matter. As for the toilet paper, well, it was course brown wrapping paper that made Izal or the Daily Mirror feel quite appealing. Medium grade sand paper! A5 sheets of it on a string! I'm still not sure whether it was single use or recycled by the management. Needless to say, in some alarm and discomfort, bought some toilet tissue for my use. Often remembering the sand paper moment when in supermarkets I now insist on the best quality, which is placed on the holder and my wife always turns it around so she's an over roller and me, I'm just glad to have soft toilet tissue. If I am tasked with the important job of replacing a roll in our home I just bung it on the holder. From now on I will think about this everytime I do it thanks to Silversurfers and will probably do a roll-over and will also make a little triangle-not sure what my wife will say though. I never knew there was a correct way to hang the toilet roll. I'm a over roller, my husband an under roller. When He changes the roll I always have to swap it over. Now I can confidently state I am right as I always am. I think I am less bothered about under or over rolling than I am about the number of sheets on a roll. My toilet rolls don't seem to last very long compared to a couple of years ago. Pam, when my step grand kids visit, they're now 16 and 14, the younger one uses a whole roll in one day. Not at all sure I want to know what he uses it for! A few months ago, and being a little tight, I unrolled a toilet roll, counted the sheets and then place it on the holder, just before the grand kids arrived. A new roll. That's more than I knew at 14! These days, my wife and I just ensure there's a spare roll in the toilet; to be over rolled. Well, gotta teach them some class! Maybe the time honoured newpaper squares hung with string could be introduced when next your grand kids visit, hide the fluffy rolls. Interesting to see the results of this experiment! That's not a bad idea, but what would I need to do to refer to yesterday's headlines? Perhaps a used fish and chip paper? Oh, drat it. They're not allowed to use newspaper anymore. I think a trip to Paris is needed, bring home a few days supply of that sand paper lookalike. Leave a tube of Germolene beside it. The little sweethearts will be scarred for life! Hmmmm! how would betting slips be stored in the bathroom, hopefully the ink does not come off, and why would you need a receipt? Maybe you are one of those A type people, racing to the finish line. I have progressed in life from having squares of newspaper strung with string on a nail in an outside privy. They had to be exactly square sheets, none of your rectangular oddness and of course it had to be 'The Times'. Even then there were rules, types of paper, torn or scissored cuts, types of string, it had to be a statement for anyone visiting. One could vent their suppressed anger, be it against a politician or celebrity or even an item of news by choosing a particular piece of newspaper to wipe away any lingering annoyance, resulting in smile of satisfaction, quite therapeutic. I was given the job of cutting the newspaper as a child because I was endowed with artistic flair and perfectionism. The invention of the loo roll has robbed me of this happy pastime,. Yes I am a dominant, posh, and am very persnickety and find this subject very amusing. Minxie, my Victorian grand parents lived in a small cottage in a small Norfolk village. Their toilet was an outside khazi 25 yards away. It was a trial of endurance during winter nights to find the Daily Mirror squares frozen solid. Grand mother would always give me syrup of figs before bed! Near the end of her life she relented and bought Izal. It made great tracing paper for a kiddie, but to this day can't understand why the company needed to print it's brand name on every square? It's just not something one looks at with interest at these moments. I now think soft toilet tissue at my parent's home was the single reason to leave my home village and return to my parents then living in London. Awwww! you are just a softie Lionel, soft rolls. Nobody has mentioned government toilet paper, it was so tough, you could wash it, hang it out to dry and use it again, cost saving in times of rationing. You could also use it as tracing paper, it was probably manufactured using plastic sheets. What an interesting subject! It has to be the reflection of a civilised society. I have noticed in the past 10 years that most if not all hotels and every B&Bs that we stay in have the little triangular fold. I always thought it was just to look nice. there we leave something everyday even at my ripe old age! We always have the loo rolls with the paper over. I must say I get told off quite a lot as when there is a new one required I quite often put it on the shelf next to the loo rather than on the loo roll holder itself. Now thats a 3rd way to do it! I do love this website. the while world is in turmoil with Trump being elected; I read in the papers to day that we have Trident missiles being test launched that go the wrong way and above all this is a forum on which way the loo roll should be placed. Civilisation in a world of madness! Oh yes, Wilf, civilisation as it once was in a world of madness. In these liberated times we may discuss such private things as toilet rolls; taboo in my childhood. But in the nicest possible taste! Yes, I too love Silver Surfers. It's a place for gentleness, tenderness, clean humour, reminiscences and tales of times gone by. Bit it's also a place for serious debate, opinion sharing. Wonderful. We have Sally and her team to thank for this place. And I have. Let's do what we must to keep it going. I agree Lionel but then in "times gone by" we had WW1, WW2 the cold war, Vietnam ...so in some ways these are the best times ever. Well they are if you are living in most of the world as more people have never been richer and had more "stuff" including food which is vital. 500 years ago in the middle of January my ancestors would have probably been eating frozen turnips and the old boiled leg of chicken ...dark at 4pm, no heating and the nearest village 10 miles away....mmmmmm Not such good days in Ye Olde Englande! Yes I agree we should thank Sally and the team for such a civilised site. 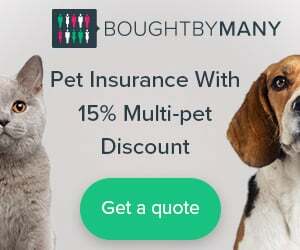 I also go on many other sites manly the newspapers and I think most of the nutters in the UK are on them as well...including the BBC facebook as well! Wilf, we're the kids of people who served in either WW1 or WW2, or perhaps both. They came back hardened men, war weary, and changed forever. In many instances known to me, our childhood was difficult by today's standards, but we didn't then know any different. Everyone else at school came up the same way. Self disciplined, moral, (well, for the most part) and hardened up to face a changing world, which turned out to be an ever changing world. Yes, for us these are good days, free of open warfare, conflict. There is a sufficiency, indeed I would say an excess, of so much. That we have enough food is a major leap forward. For me, that we have soft toilet paper is a giant leap forward, putting Neil Armstrong's efforts in the shade! Today, there are difficulties in British society for which we are unprepared. As I look at my step grand children of 16 and 14 I think, this is for you to put right. If you don't you will be the losers. Wilf, I'm not suggesting Ye Olde England was the ideal, no. Rather saying we Brits have in perhaps the last century, been more civilised toward one another. Dare I say more genteel? And is what I miss in the world I live in. It's now so aggressive, so forceful and worst of all, so selfish. This elemental behaviour doesn't go down well on Silver Surfers. Indeed, one was removed a few months ago for just these things. Underrolling/overrolling I have not ever really thought about it. I just put the loo roll on the holder and thats that.